Bank Indonesia Representative Office Deputy Director, Sithowati Sandrarini noted that last year's economic growth in the capital has reached 6.17 percent year-on-year (yoy).
" Its amount is higher compared to the previous quarter by 6.38 percent"
"Its amount is higher compared to the previous quarter by 6.38 percent," she expressed, through press statement, Thursday (2/7). It has an impact on increasing the consumption growth of non-profit institutions serving households (LNPRT) by reaching 8.34% year-on-year ahead of presidential election. "Growth in household consumption also remained high at 6.03 percent," she stated. 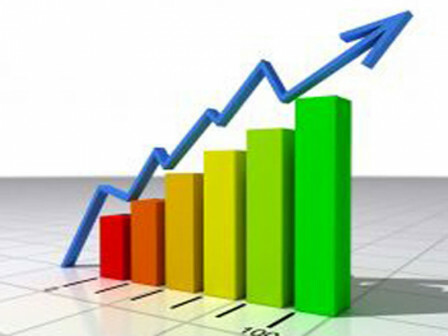 He assessed that the gross fixed capital formations (PMTB) growth last year reached 4.67 percent. "The low value of inflation is an important factor in increasing economic growth," she told. In the export sector, she added, experienced a slightly high growth by 8.20%. It was encouraged by exports of goods and services, especially through the arrival of athletes, officials and supporters of each country competing in the Asian Games XVIII. "It also happens import by 10.34 percent in line with the increase in imports of capital goods to complement the construction of mass transportation infra structure," he said.